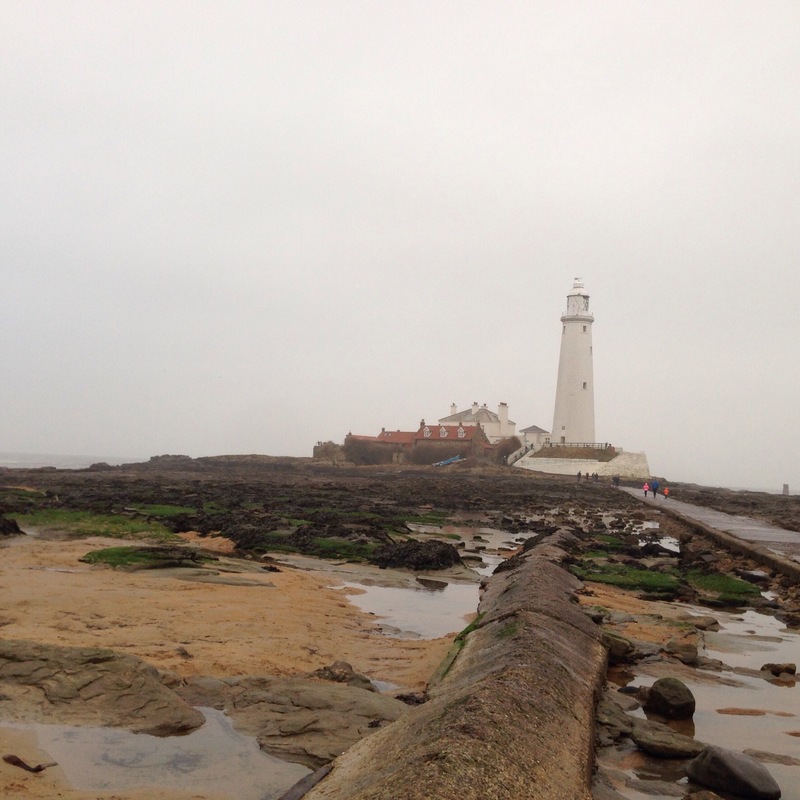 We headed to St Mary’s Lighthouse today. Mostly because I left the supermarket needing a wee and with James asking to go to the park. I was wracking my brains as to the best park with public toilets, and decided the park was out, lighthouse was in. Bundled up we ran down the hill to the causeway. James was repeating the word “lighthouse!” over and over, and then remembered that Baby Jake lives in a lighthouse, but we don’t. (I think, actually, that Baby Jake lives in a windmill?) Not sad for too long, he stopped to tell me about the waves going “swoosh swoosh” on the beach. 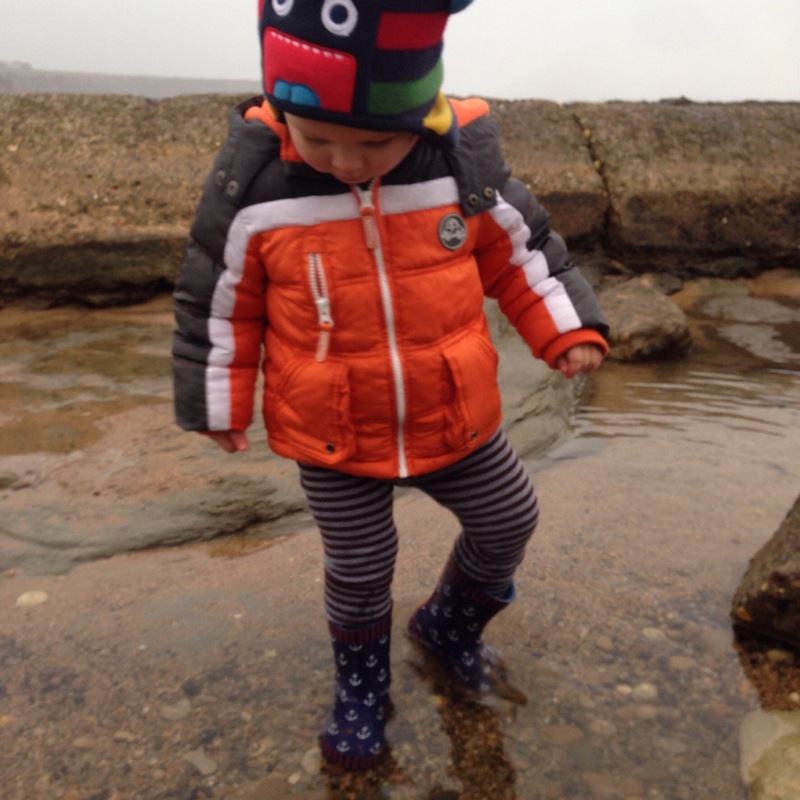 The biscuit that had to come with us was quickly dispatched to my pocket, and he began jumping in puddles. Wow, he had a great time! 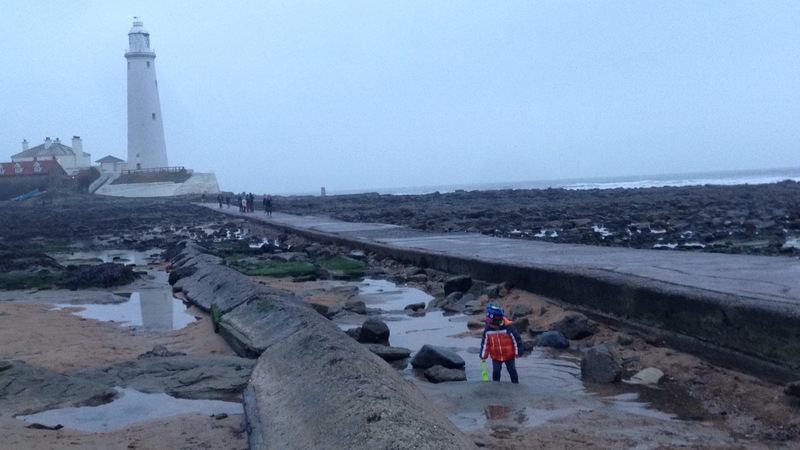 Then he spotted a shell, and grabbed his spade to scoop it up. He dropped it in a different puddle, which quickly became the dumping ground for rocks, pebbles, and shells from other nearby locations. Plodging up and down the puddles had his feet and legs soaking wet, but he really enjoyed it, shouting and singing as he “worked” at moving the shells. 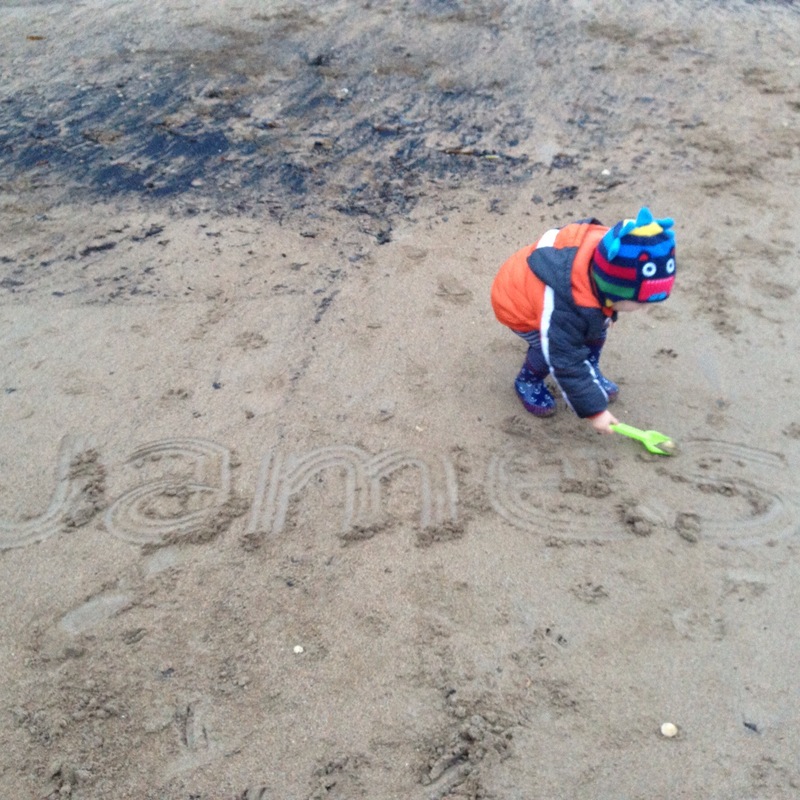 “My love dig sand, mammy,” James said, as he dug up piles of sand and stones and chucked them in the rock pool nearby. 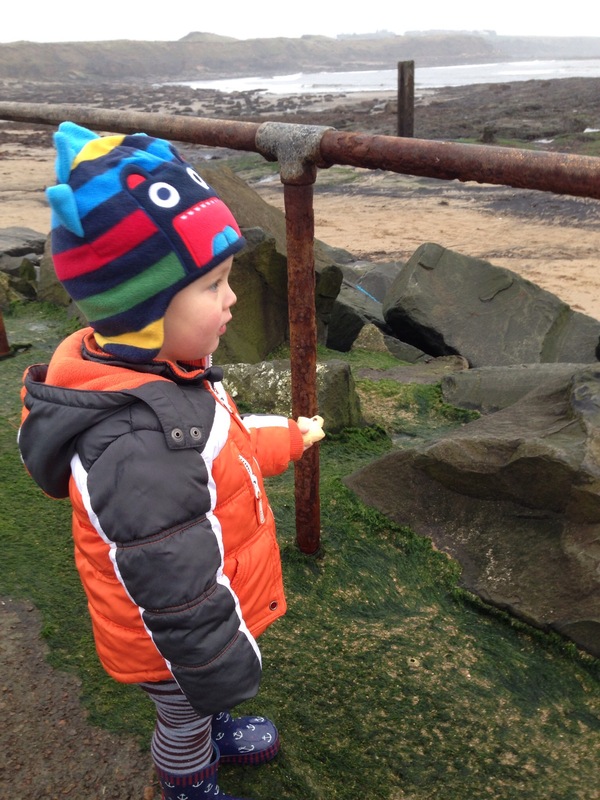 We talked about the seaweed, and although we didn’t see any fish today, James remembered that some fish eat seaweed, so he moved some from the sand to the water so they could reach it more easily. As it was getting dark, we reluctantly left for home. Fabulous visit to the lighthouse today! Oooh I wish we lived nearer the sea! What a lovely walk! 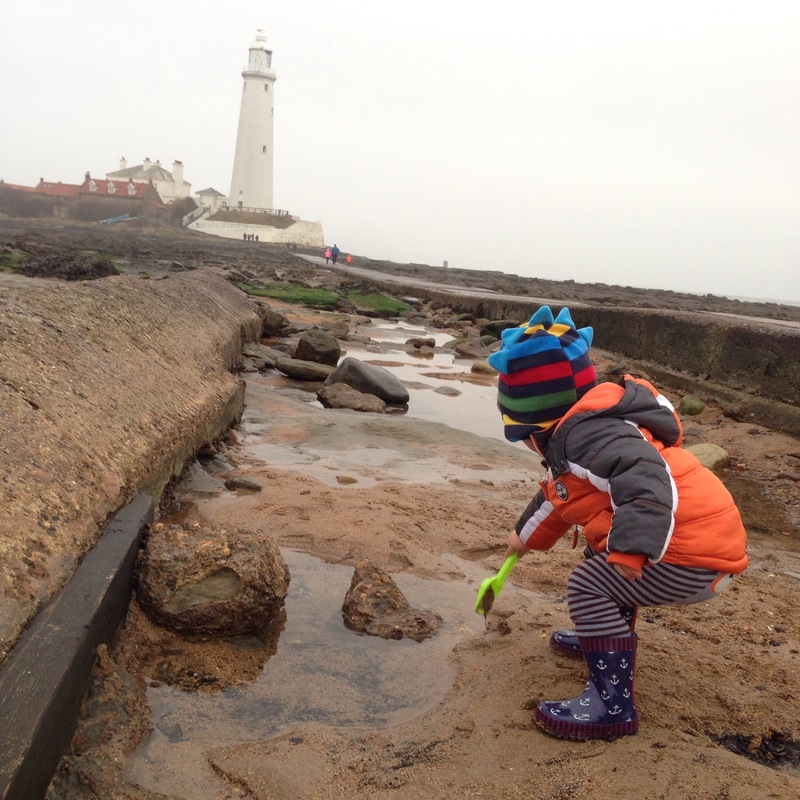 What a lovely impromtu trip to the beach/lighthouse I think James really enjoyed himself there! It’s really sweet that he put some seaweed in the water for the fishes to eat. Thanks for linking up with Country Kids.